Are you a regular user of the E16 bus? I must admit that I was only vaguely aware of it's existence. Being tucked away in its very own 'other buses' section on the TfL Worcester Park bus routes map and also being grey instead of the expected red, it hadn't really jumped into my consciousness. However this may all change after the company which operates the service, Quality Line (part of Epsom Coaches - they also do the S3) agreed to a change which I think is very positive for all concerned. 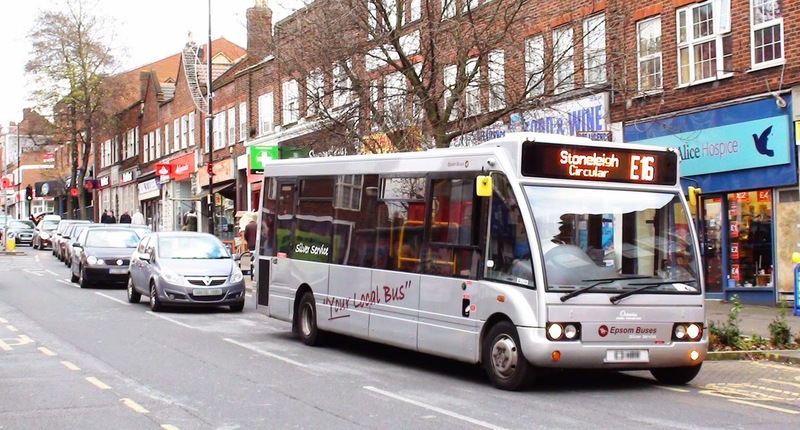 It all started when Cllr Sam Bourne approached me after the last Cheam North and Worcester Park local committee meeting (Monday 11th December) to tell me she had negotiated a new fare structure with the bus company for this route. The problem had been a number of factors which when combined, led to a rather difficult situation for some people. The first of these is that cheaper fares including the older persons' Freedom Pass can only be used from 9:30am. This bus only comes round every two hours each way - it goes round the route one way one hour and then goes back the other way an hour later - more or less. 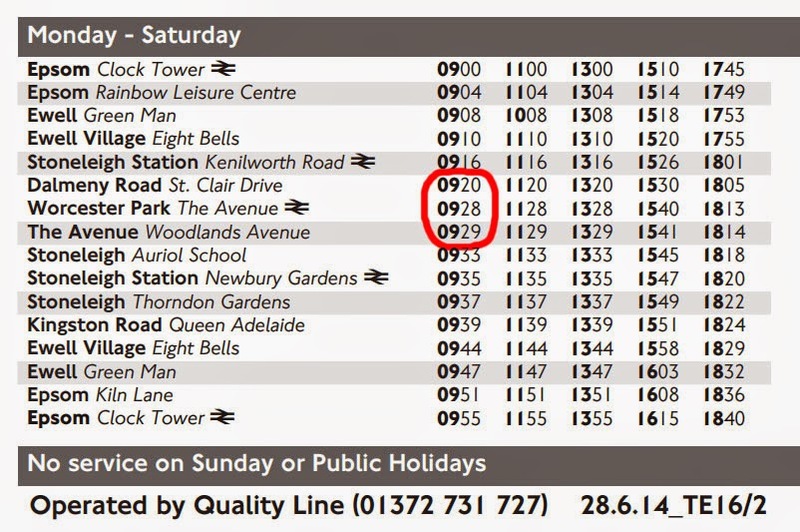 It just so happens that when this bus arrives in the morning in Central Road, the one that arrives close to 9:30 actually arrives a minute or two before 9:30, meaning that fares like the Freedom Pass cannot be used on this bus, even though the majority of such a journey (pretty much everything after Central Road) would take place after the 9:30 threshold. Because the bus only runs every two hours in each direction people in this situation have to wait until just before 11:30 for a bus they could use with their ticket. The last part of the problem was that there was no way they could just 'pay the difference'. They had to buy a full ticket just to sit on the bus for that extra 90 odd seconds or else not be able to reach any morning appointment along that bus route. What Quality Line (Epsom Coaches) have agreed to however, is that people in this situation can pay the equivalent of a children's fare as a way of 'just paying the difference'. It is a solution which takes all parties into account and has found what I think is a really fair compromise. This is a bus route which comes under Surrey County Council (SCC) rather than TfL. SCC were not in a position to subsidise these fares further, but have allowed Quality Line to charge the lesser fair to these people before 9:30. Quality Line is happy because they are now earning a small amount in fares before 9:30 that they wouldn't have been earning at all and the local subsidised travelling public is happier as they now have an additional option which opens up their morning travel possibilities. For me, that's a good solution all round.